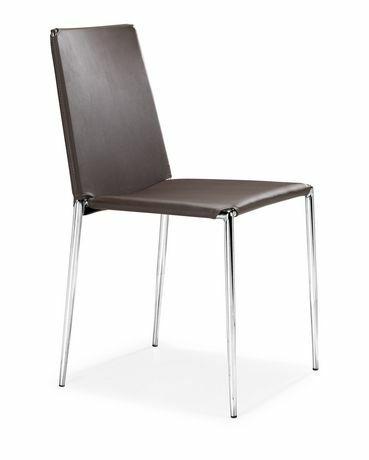 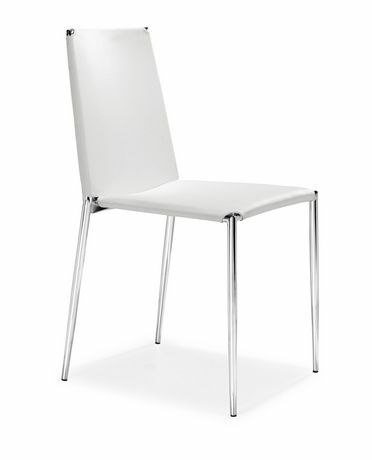 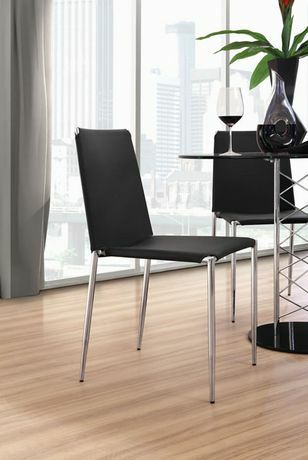 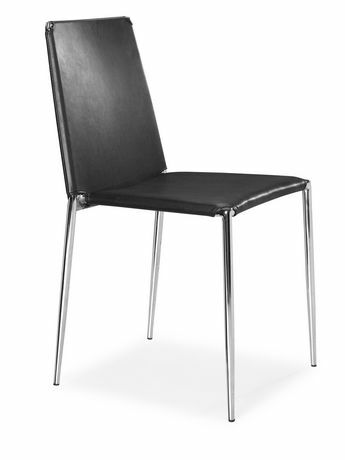 Clean lines and shape, this chair works well in the office or in the dining room. 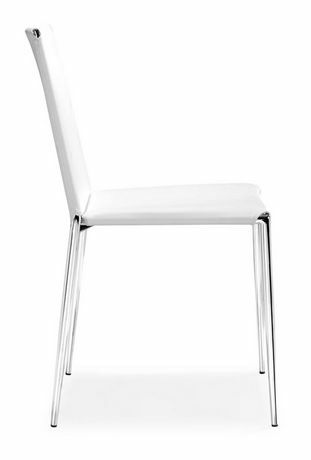 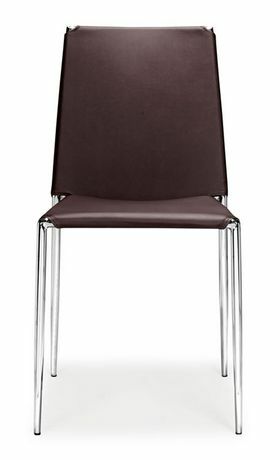 The Alex chair stacks and is made with a soft leatherette seat and back with a chromed steel tube frame with rubber feet. 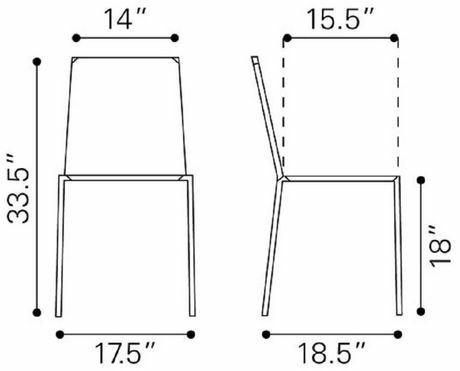 Product sold in set of 4.